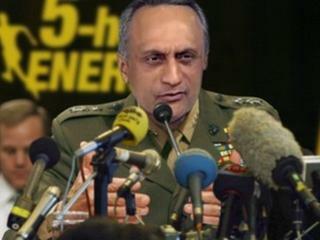 Entrepreneur and philanthropic billionaire, Manoj Bhargava, founder of the 5-Hour Energy company, has pledged to give away 99% of his nearly $5 Billion dollars of wealth. He’s not just saying he’s going to do it and privately set up a for-profit company masquerading as a charity, he’s doing the REAL DEAL, full fledged, all out dedication to making the world a better place. Bhargava might go down in history as one of the most important people in the 21st century, not just because of what he’s accomplished professionally or for world improvement, but for his bravery to stand up in line of CEOs generating $50 million salaries, step back and just give everything back to the world. His example of a true philanthropic founder and chief executive officer of a major company will forever be set to the standard of what Manoj Bhargava has blessed the world with. Now Bhargava is going public for the first time with work he’s been funding on inventions to alleviate global suffering by attacking problems in the areas of water purity, energy availability and health. Billions in Change, a new documentary film about Bhargava’s Stage 2 Innovationslaboratory in Farmington Hills and a joint venture in Singapore, will be available for viewing Monday at www.BillionsinChange.com. A companion website, www.BillionsinChange.org, offers more information on Stage 2’s creations and provides users with resources and ideas to take action. Billions in Change was made by Film 45, a production company launched recently byPeter Berg — director of 2013 war movie Lone Survivor and 2004 sports flick Friday Night Lights — in partnership with TV/documentary producer Matthew Goldberg (CNN’s The Sixties). Bhargava, 62, born in India and a metro Detroit resident since 1997, is the narrator and central figure in the film, which pegs his net worth at $4 billion and says he plans to give 99% of it to charity. Billions in Change is not a plea for money, but rather a call to action, urging people to tell friends, social networks, policy makers and elected officials that practical solutions to some of world’s most urgent problems are viable, ready for implementation and need to be prioritized. Thematically, it’s similar to Slingshot, a longer 2014 documentary focused on inventor Dean Kamen’s work on a mobile water purification unit. So what exactly is the “stuff” that Bhargava believes can impact billions of lives? Several practical inventions created by his 100-or-so engineers at Stage 2 are based on relatively simple technologies that have been around for decades, but adapted to be more compact, mobile or efficient. He’s also got scientists in Michigan and Singapore delving into a remarkable substance called graphene, 100 times more conductive than copper — and thus very promising as a way to transfer and store huge amounts of energy, if only it could be tamed for practical use. — And a medical device called Renew ECP (for external counter pulsation) that promotes good blood flow, one of the basic foundations of wellness. Bhargava, who publicly committed in 2012 to the Giving Pledge — a challenge byWarren Buffett and Bill and Melinda Gates to America’s wealthiest people to give away most of their fortunes to charitable causes — hopes that the film inspires people to push for change.